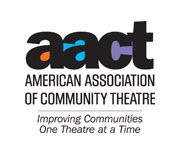 IMPORTANT UPDATE: Dates and registration information for the Summer Youth Performing Arts Workshop, "Aladdin, Jr."
UPDATE: LEA COUNTY CENTER FOR THE ARTS IS NOT HANDLING REGISTRATIONS!! SEE BELOW FOR INSTRUCTIONS ON REGISTERING BY MAIL!! Deadline to register is June 18th (or the first 35 kids registered). The fees are $140. Please note that the Lea County Center for the Arts is NOT accepting registrations and will NOT be holding registrations on site. This is a recent change, after the registration (click here) was printed. PLEASE DO NOT SEND THEM TO LCCA OR TAKE THEM TO LCCA, THEY ARE NOT HANDLING REGISTRATIONS THIS YEAR. "Aladdin, Jr." will be directed by Sandy Goad, with musical direction by Ronnie Gray and technical direction by Kenneth Brown. J.F. Maddox Foundation, Hobbs Public Schools, Community Players of Hobbs, and the Lea County Commission for the Arts.